From what I gather, the upcoming Slackware ARM 14.2 release will continue to receive security updates, but future development on Slackware ARM will cease. 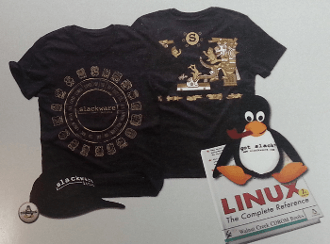 I believe its user base will agree that the Slackware ARM port has been a great addition to the Slackware family and has adhered to the quality associated with the Slackware brand. I would like to express my sincere thanks and respect to @drmozes for all his work and effort on the Slackware ARM port, I have enjoyed it immensely. Give me slack or give me death. Not that it matter much in this context, but my self hosting project that got started with running WordPress on a RPi2 and later on a RPi3 will also come to an end. I’ve considered moving it to another distribution but it will never be as much fun as running Slackware ARM -current.